The Hellenic Association of Airline Representatives (SAAE) on Monday sent a letter of appreciation to the International Air Transport Association’s (IATA) country manager for Greece and Cyprus, George Mamalakis, for his assistance to the sector following the introduction of capital controls on Greek banks in the summer. “On behalf of the members of the Hellenic Association of Airline Representatives and the 73 airlines we represent in Greece, I would like to express our most sincere appreciation for the efforts of IATA and GR BSP during the strenuous times we experienced last summer with the introduction of capital controls of last June in our banking system”, SAAE’s president, Dinos Frantzeskakis, said in the letter. Mr Frantzeskakis underlined that thanks to the flexibility demonstrated by IATA in Greece and to the Greek agents, the number of defaults had been minimal. “Exports of BSP funds to the airlines was normalized fully as early as September 2015”, he noted. 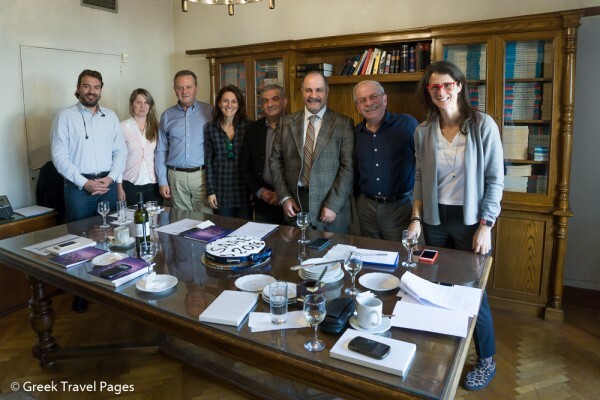 SAAE’s letter of appreciation to IATA’s George Mamalakis was one of the many actions agreed upon during the association’s first board meeting of the year on March 2. On the sidelines of the board meeting, the association cut the Vasilopita (Greek New Year’s cake) and exchanged wishes for a Happy New Year. To read the whole letter to IATA’s George Mamalakis, press here.